New Delhi: Baahubali: The Lost Legends, an animated spinoff of filmmaker S.S. Rajamoulis Baahubali film franchise, will soon make its debut on the small screen to enthrall viewers with the story of Baahubali, the king of fictional kingdom Mahishmati. After releasing the series on Amazon Prime Video, Rajamouli, Graphic India and Arka Mediaworks have joined hands with Colors channel to expand the world of Baahubali. "Baahubali has proved to be a landmark film in the history of Indian cinema. Its success is nothing short of a case study for the Indian filmmakers. We at Colors pride ourselves for knowing the pulse of our viewers," Raj Nayak, COO, Viacom18, said in a statement. Baahubali: The Lost Legends has been created by Rajamouli, Sharad Devarajan and Arka Mediaworks. "Our creation of the series with Graphic India and Sharad Devarajan was formed on the idea that we could launch an animated series that would go beyond just kids. With the channel's distribution platform, we will be able to bring Baahubali: The Lost Legends to the millions of people in India from ages eight to eighty." Baahubali 2: The Conclusion, the second installment in the franchise, is currently having a golden run in theatres. Released on April 28, it minted over Rs 1500 crore so far. 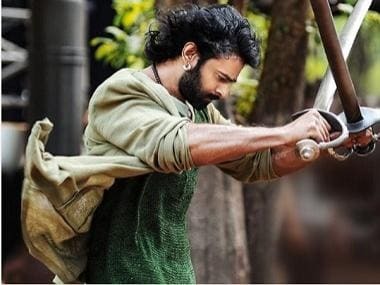 "The paradigm shift that Baahubali has brought into the entertainment industry is truly inspiring for all of us, and now with Baahubali: The Lost Legends fans of the film can continue to live the journey of Baahubali, Bhallaladeva and all their other favourite characters," said Shobu Yarlagadda, CEO, Arka Mediaworks. A premiere date for Baahubali: The Lost Legends is yet to be announced.